This bold effort to reformulate the nations response to child abuse was met with a mixture of skepticism and excitement. 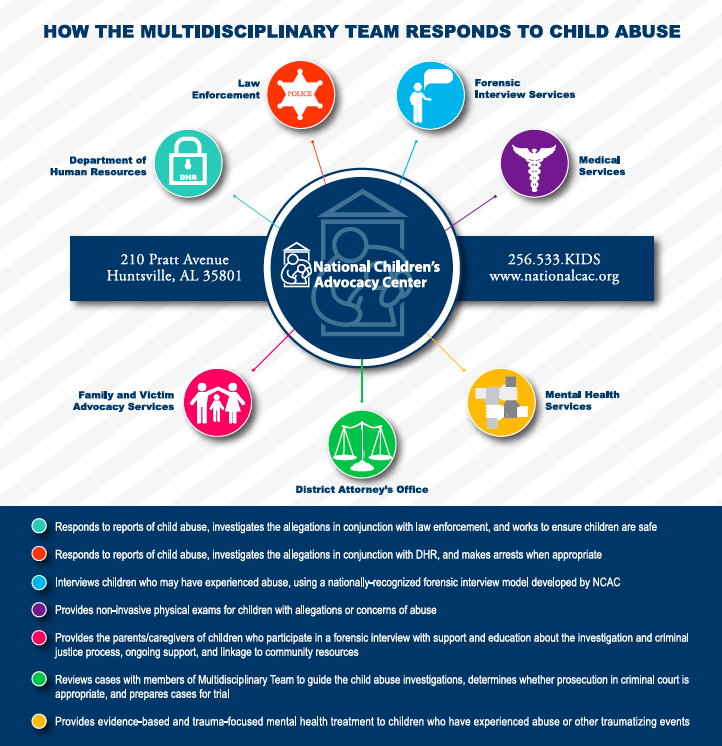 The various institutions of law enforcement, child protective services, mental health, medical health, and victim advocacy were unaccustomed to working in a collaborative fashion, but they quickly realized the value and impact of this multidisciplinary model. Currently, this approach has been widely adopted as a best practice in responding to child sexual abuse in the United States. Throughout the United States, there are now more than 1,000 Children Advocacy Centers which served more than 300,000 children last year, and this model has now been implemented in more than 33 countries throughout the world.